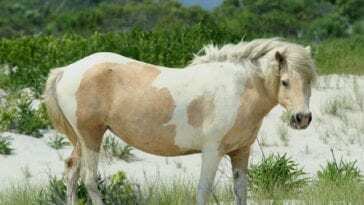 Every year, tens of thousands of people crowd tiny Chincoteague Island to watch the wild ponies plunge into the water and swim toward shore. The annual Pony Swim is a tradition that’s more than 90 years old, and it’s now an ingrained part of the culture for both island residents and the countless visitors who look forward to the event each year. Across the water from Chincoteague Island sits the quieter, wilder, Assateague Island. 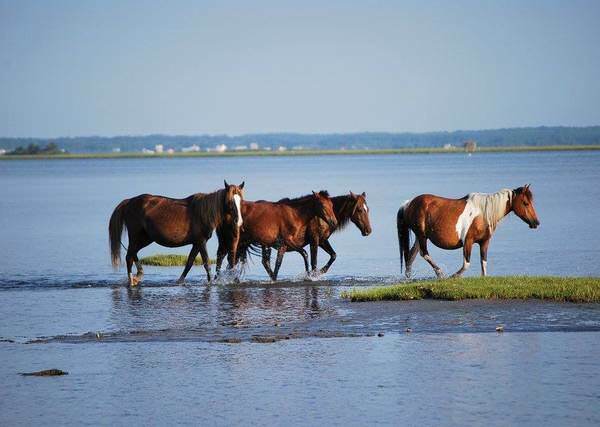 The sandy beaches and salt marshes have been home to a herd of wild Chincoteague ponies for nearly 400 years. Two thirds of the land belongs to the State of Maryland, and the southern third is in Virginia. 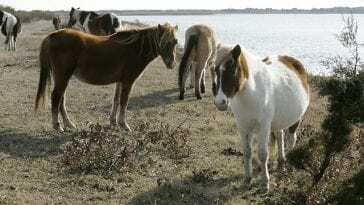 Every year, the Chincoteague Volunteer Fire Company purchases a permit allowing them to maintain a herd of about 150 ponies on the Virginia side. But left on their own, the ponies are threatened by overpopulation on the small island. The herd needed to be maintained, and the annual Pony Swim and auction became the solution. Every summer, riders from across the country called “saltwater cowboys” mount up and ride into the marshy wilderness of Assateague Island. Nearly 70 riders in total fan out and spend five hours herding the wild ponies toward designated penning areas. Veterinarians sort through the herd to pull out the too old and the too young, but the rest are made ready for the annual swim. Early in the morning when the tide is still, the saltwater cowboys urge the ponies toward the water’s edge. In an incredible show of splashing hooves, the ponies streak into the water together as a herd. It takes 9-11 minutes for the swimmers to make their journey across the Assateague Channel. With hooves on dry land, they’re then driven down Main Street toward the expectant crowd of onlookers at the fairgrounds. The next day, an auction is held. 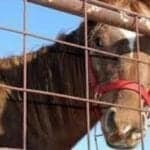 The young horses are sold to ranchers and horse owners both local and from across the country. All of the money goes to the Chincoteague Volunteer Fire Company to help maintain and purchase necessary equipment. A portion of the money is also put toward the wild herd across the water to help them thrive in their natural habitat. 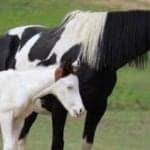 To keep the herd at a healthy number of around 150, certain foals are chosen as “buybacks.” They’re auctioned under the condition that they will be returned to their home island to replenish the herd. Buyers receive special certificates and have the honor of naming the foal. In a show of responsible conservation, the buyback ponies are often auctioned for the highest amount. After a week of celebration and tradition, the event ends. 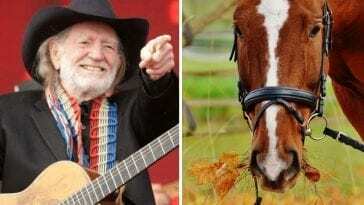 The remaining ponies are returned to the wild, and the saltwater cowboys go back to their daily lives. Chincoteague Island slips into the relative calm of the area’s only resort island—but only until next year. The 2017 Pony Swim is set to take place on July 26. Will you be there?